Whole House Audio means music throughout the home, controlled by keypads, remotes, tablets, and iPhones connected to your home network. By pre-wiring locations of choice, homeowners can access and control audio components from any room. 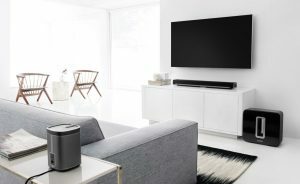 We sell a variety of outstanding products, but Sonos is one of the hottest audio products on the market and LYH offers their full line. Also, free Demos are available in select areas. Link Your House has solutions to meet any lifestyle and budget. Our Electronics Systems Designers take the time to educate homeowners and prepare them for the next generation of technology.